We’ve heard your feedback and been working very hard to produce an efficient and cost-effective solution to your bookkeeping and payroll blues! We understand better than anyone that without accurate and efficient bookkeeping, your accounting will be inaccurate, meaning you will not be able to make informed financial or management decisions, as your true financial position will not be known. Additionally, your year-end accounting work will take longer to complete and will be at a higher cost. Inaccurate and unreliable financial records also act as a barrier when applying for finance or trying to sell your business. Put simply, it’s essential for financial records to be accurate and up-to-date. As a business owner (guided by your Financial Management experts here at Advivo), it’s important to maintain accurate and ‘clean’ financial records to understand how you are performing and gain useful information to assist with decision-making in order to grow your business. We understand that the necessary requirements of running a business can be time-consuming and we have a solution for you to reduce the time, money and effort to keep your records accurate and accessible to guarantee you are making the most of your time on your business. Payroll is often a bugbear with many clients and businesses, particularly with the continuous legislative changes such as Single Touch Payroll. With different state and position awards, it is almost impossible to keep up to date unless this is your full-time job. People and technology are at the crux of the reporting requirements to the ATO. Each time a payroll event occurs, businesses are required by law to report specific details – which sounds overwhelming when you just want to get on with the running of your business, but it’s essential that this is right from the start to avoid significant penalties that can be applied for getting it wrong or incorrect reporting. It’s best to let the experts deal with this so you can manage the day-to-day running of your business. At Advivo, we encourage our clients to spend their time doing what they do best in their businesses by outsourcing everyday tasks in an inexpensive and efficient way. 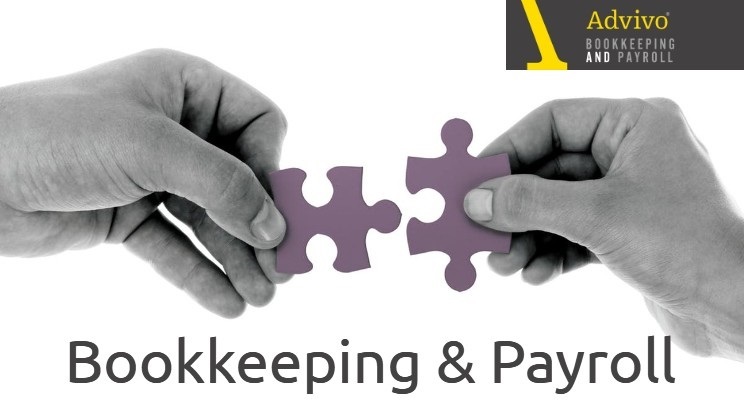 To achieve this, we have partnered with bookkeeping and payroll experts to deliver the best and most cost-effective solutions to you and your business regardless of its size, geographic spread or nuances associated with your industry. Our partners offer and assist with implement modern software and technology solutions which can be integrated with your existing business systems or upgraded as appropriate. We believe this will not only provide a monetary benefit for clients but also prove our value and position by always seeking ways to take our clients and their businesses to the next level. Our Process is simple, we start with a complementary scoping meeting to understand your needs, business and budget. If you want to ensure you are making the best use of your time in the most cost-effective way to not only increase your profit but give you peace of mind, then contact us today to discuss a tailored Bookkeeping and/or Payroll solution that would work for you and for your business. You may also call us on 07 3226 1800 or send us a message us through our Contact page. Don’t forget to follow us on LinkedIn for all the latest updates.